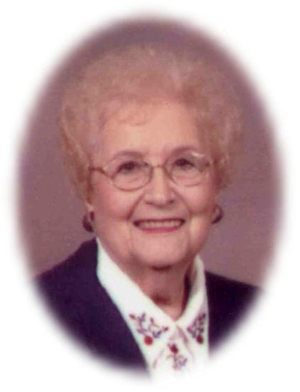 Obituary – Kukuk, Vera Marie (Shelton) « Perry High School Alumni Association, Inc.
Vera Marie Shelton Roads Kukuk, 82, of Perry, died Saturday, Oct. 2, 2004, at her home. Services will be at 2 p.m. Monday in the Christ Lutheran Church in Perry. Interment will be in Grace Hill Cemetery. Services are under the direction of Brown-Dugger Funeral Home. She was born to Henry and Stella Mae (Anglemeyer) Shelton Oct. 11, 1921, in Perry. She married Carl Frederick Kukuk July 28, 1938, in Texas. He preceded her in death July 2, 1984. She was vice president of Albright Title and Trust for 25 years. She was a member of the Christ Lutheran Church and the treasurer of her Sunday school class for 25 years. She enjoyed crocheting, flowers, working in the yard, her three grandchildren and six great-grandchildren. She was preceded in death by her husband, parents and one daughter. She is survived by one daughter, Frances Beier and her husband, Lawrence, of Perry; three grandchildren, Robert Beier and his wife, Sandra, Randy Beier and his wife, Benita and Carla Wells and her husband, Gerry, all of Perry; six great-grandchildren, Shelby Foster and her husband, JD, Melissa Beier, Travis Beier, Lyndee Wells, Lexi Beier and Courtney Wells, all of Perry; one brother, Jack Roads and his wife, Darlene, of Perry; one sister, Shirley Emde of Stillwater; three sisters-in-law, Alva Leonard of Carrolton, Texas, Lela May Buffington of Perry and Edna Kukuk of Dover, Ohio and numerous nieces, nephews and cousins.